Clear Your Heart: Joyeux anniversaire à mon papa! 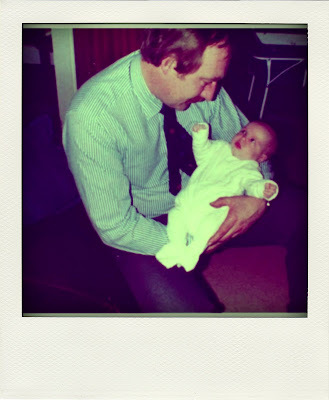 Today is my Dad's 65th Birthday. I've bought him an Ariel Atom driving experience and some Hotel Chocolat chocolates. Later on this afternoon I'm whisking him and my Mum off to the Malmaison in Liverpool for the night. They deserve a night away and a little bit of decadence. Plus I get to have the house to myself. Hurrah. 1) He always makes me laugh. Always. He's ridiculous and daft and makes up stupid jokes. He drives my Mum crazy and often moves things to make her think she's going mad. He's a complete joker and I adore it. 2) The only times I've ever seen him cry are when family pets have died. He's a big softie at heart but rarely shows it. 3) He loves my Mum more than anything in this world. They've been married almost 40 years and he still holds her hand when they sit on the sofa together. 4) He can fix and mend anything. Seriously, he's the handiest man ever. 5) He never lets me down. Ever. He's been my taxi, my shoulder to cry on, my bank and my removal man more time than I can remember. And I'm so thankful that, although these days I make far fewer demands on him, he'll always help me in any way he can.